May I Survey Your Thoughts? I am collaborating with friend and fellow writer Marilyn Nutter, on a project. Would you be willing to lend your thoughts to some research? This will only take two minute’s of your time and your feedback is completely anonymous. Sunlight filled into our tiny cabin and we awoke early on Easter morning. Our family recently celebrated the Easter holiday in the most unusual way. We remained in our pajamas as we read the story of Christ’s burial and glorious resurrection. Our sunrise service was located in cabin R156 of the Carnival Fantasy cruise ship. After our atypical Easter service we dressed in swimsuits and sunblock. Within a few hours we were exploring Nassau, Bahamas and the Atlantis. As soon as we exited the building we found ourselves in a tropical paradise. 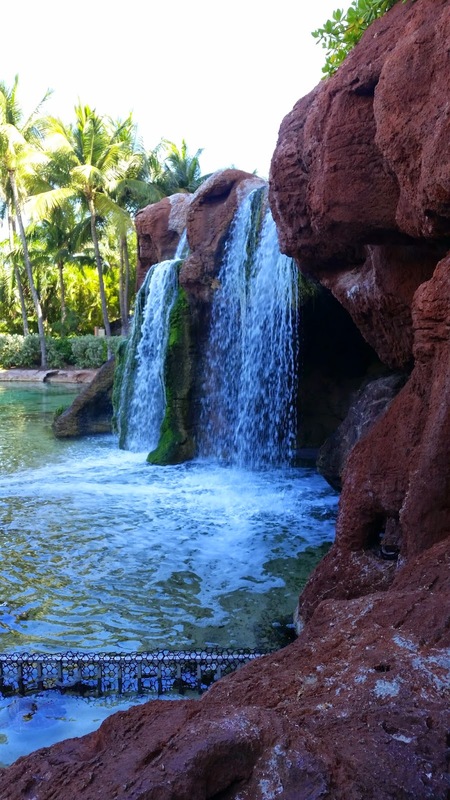 Beautiful waterfalls surrounded our view creating lagoons and pools of water. 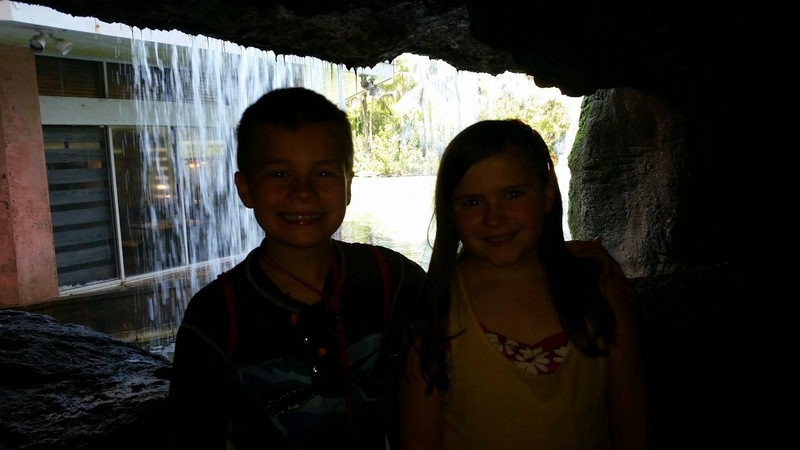 As we toured the Atlantis aquarium/water park we were actually able to walk behind a series of waterfalls. We continued to stroll through the aqua park we were amazed by the spectacular sound and fascination for our senses. We paused in front of another waterfall, mesmerized by the beauty. I explained, God’s love, grace, and mercy is like this waterfall; it is never-ending. 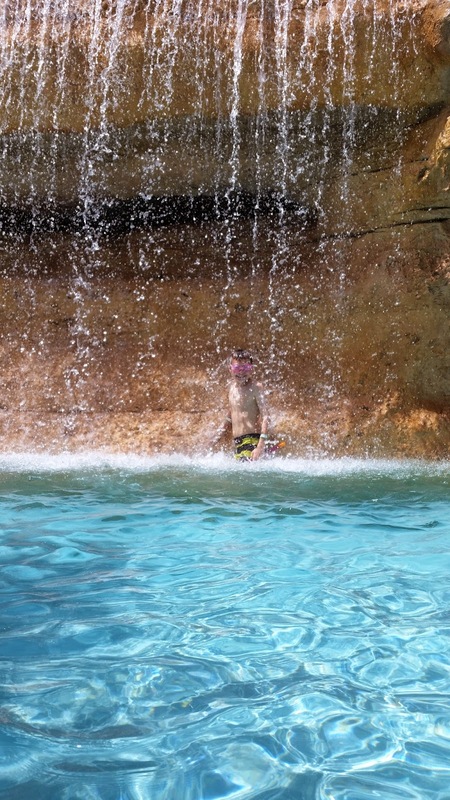 When we finally reached our desired resting place, Andrew jumped in the pool and allowed the waterfall to cascade over him. Not wanting to let this life lesson slip by, I shared again the similarities of waterfalls and God’s never ceasing love, mercy, grace and blessing. However, just as the kids choose to stand under the waterfall, we too can choose whether or not we want to be standing in the water flow of blessing. God’s steadfast loving flow never changes. But sometimes we step out of the water flow. This year, we celebrated Easter in a most unusual way. This Easter we stood under a waterfall on a tropical island in the Caribbean and felt God’s blessing cascade over us. God bless this boy for praying for his momma. Playing the violin is a new instrument for me. 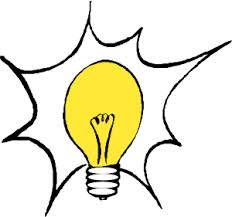 At forty-years old, I decided to learn something new and hopefully generating a few more brain cells in the process. Suffice it say, learning to play this instrument is equally frustrating and enjoyable. Later that day, my violin instructor reminded me “There are no shortcuts to play the violin.” Inwardly I groaned, I knew she was correct. I’ve been taking violin lessons for eight months and yet I still struggle with the basic concept of bowing. The violin looks graceful and easy, but playing this instrument difficult. There are so many things going on at once and if your posture, arms, hands, wrists are not perfect, the violin will screech. Standing before me, Mrs. Peterson allowed her right arm to swing freely. Our body’s natural tendency is for our arms to swing behind and slightly in front of our torso, creating an arc. 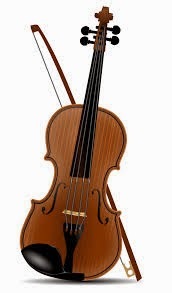 However, to play the violin correctly, the right arm must remain straight and perpendicular to the strings, not in an arc, but in a straight line. For forty years, my body has moved in its natural way, now I’m trying to break that pattern of movement. My mind wanders as my teacher demonstrates the proper bowing technique. Our arms have a natural tendency to move in an arc pattern that is counterproductive to playing the violin. As believers, we have a natural tendency to move in a pattern that is counterproductive in our walk with the Lord. We want the results of a life obedient to Christ without the discipline and sacrifice of time in His presence. Playing the violin is a lot like life. So often we want the results without the routine. We want results without the practice and without the sacrifice of time. Whether playing an instrument, making healthy food choices, exercising, or spending time in God’s Word, if we want to see change, we must embrace routine. If we want to improve we must examine our patterns and embrace the discipline of practice. Today is March 14, which means today is “Pi Day.” Pi is the mathematical term for the ratio of the circumference of a circle to its diameter. Pi always equals 3.14159265359. While, Andrew, our sixth grader, has been discussing the significance of pi, I’d rather discuss baking a pie. In honor of ‘Pi Day,” below are some verses worth considering. I will savor these truths over coffee and a slice of pie! If you walk in obedience to me and keep my decrees… I will give you a long life. Today, God met me on the treadmill. Read on to learn what He said. I am going to let you in on my little secret. My biggest overriding fear is lack of security. This is something that God has tenderly dealt with me for years. 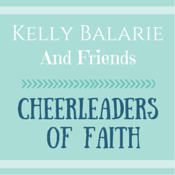 I thought I had overcome this fear, but this week, I could feel it resurfacing in my life. Let me explain. Sitting in the Wednesday morning Bible study, appropriately titled Living In Victory Over Fear, I was asked to write my biggest fear on a piece of paper. I could not believe how easily I wrote the word security. Shocked and dismayed that I wrote that word so quickly I sat back in my chair and pondered why. The speaker, Holly Furtick, talked about discouragement. She shared the story of how Leah was not loved by her husband. She prided herself in giving her husband three boys in hope of earning his affection. She too was in a cycle of insecurity. At the birth of her fourth son she said: “This time, I will praise the Lord and named him Judah” (Genesis 29:35 NIV). Today is the third birthday of Red Chair Moments! Someone please cue the band and release the confetti and balloons! I can not believe that I have been on this journey with God for 1,095 days. But what I really can’t believe, is that God would choose me, ME of all people, for this experience. I am ever so thankful. Rather than trying to come up with a creative description of how I feel on this birthday. I thought I would give you a peek into my recent prayer journal entry. It is the 3rd birthday of Red Chair Moments! Lord, I am so thankful You are still in the business of speaking to Your children, of calling out Your people, and answering prayers! This was YOUR idea. This is YOUR blog. I just happen to be the one typing (and maybe running a spell check). Lord, You have taught me an incredible amount through Red Chair Moments about Your power, grace, sovereignty, abundance, provision, friendship, mercy, love, and faithfulness. I have never encountered such spiritual oppression until Red Chair Moments. I have never felt the enemy working so hard on me and my family until Red Chair Moments. I’ve never been so vulnerable in sharing real life until Red Chair Moments . . .But I’ve also never felt so free! God, I’ve seen Your hand move in mighty ways. I’ve seen Your hand push back the darkness. I’ve seen You answer big hairy audacious prayers. I’ve felt Your presence more and seen the power of prayer more. I have truly felt the security of the army of angels surrounding my family. Lord, I still struggle with the same doubts as Moses. Like Moses, I too, feel like I’m not good with words. Like Moses, I sometimes wonder if You chose the right person for the job. I still have doubts even though I know I can trust You. It’s not You I doubt. It’s me. But then You send word either by a song, a verse or a word from a friend to reaffirm I am doing what I’m supposed to be doing until You tell me otherwise. Obey whatever He tells you to do. Lord, I thank You for calling me out of the mundane to walk by faith in this adventure with You. Through Red Chair Moments, the stories of how You work providentially have been read over 15,000 times! Red Chair Moments has crossed state lines, international date lines, and all time zones. I am humbled each time I see this blog being read in a foreign country. By accessing the statistics page of the blog, I can see that Red Chair has been read over 1,654 times in Russia, Germany, Ukraine, France, Poland, United Kingdom, China, Uganda, Romania, and Brazil. Lord, these are places that I may never physically travel. But Your Word goes out! So it is my word that goes out from my mouth. It will not return to me empty, but will accomplish what I desire and achieve the purpose for which I sent it. Lord, Your word is eternal. Powerful. Limitless. Lord, Your word brings peace and salvation to all who believe. Today is a great day to celebrate the goodness of the Lord! And now is the time to bake a birthday cake! Happy 3rd Birthday Red Chair Moments!